Can black money holders' list help in recovering unaccounted wealth? The list of foreign account holders may yield little in the fight against unaccounted wealth. Three sealed envelopes were handed over by the government to the Supreme Court containing names of 627 Indians with accounts in HSBC Bank, Geneva and the details of the cases. Observers feel that sharing of the list has been possible only on account of judicial activism but it may not yield much on the ground. With various estimates doing the rounds, the quantum of Indian black money in Switzerland could vary from $2 billion to $2 trillion. However, flight of this money from Swiss bank accounts is evident. In the 'White Paper on Black Money', released in May 2012 by the Ministry of Finance, a Swiss National Bank spokesperson stated that at the end of 2010 the total liabilities of Swiss Banks towards Indians were 1.945 billion Swiss Francs (about Rs 9,295 crore). The Swiss Ministry of External Affairs confirmed these figures to the Indian authorities, according to the report. The information was publicly available on the website of the Swiss National Bank, and consequently, bank deposits of Indians in Swiss banks have decreased from Rs 23,373 crore in 2006 to Rs 9,295 crore in 2010. There are more than 60 tax havens globally, including Cayman Islands, Isle of Man and Luxembourg. The money stashed abroad moves from one tax haven to another. In many cases, their owners repatriate and reinvest offshore money in another jurisdiction - converting it into a different form of asset such as foreign real estate, bullion or securities - or round-trip offshored funds back home. Jagvinder Brar, Partner, Forensic Services, KPMG in India, says that in an unlikely scenario of the off-shored funds still lying in these accounts, the Special Investigation Team (SIT), constituted by the Supreme Court to probe untaxed money stashed in foreign banks, is likely to have only limited success in tracing, freezing, seizing, confiscating and recovering them. "SIT will have to deal with legal and evidentiary challenges, slow-pace under the mutual legal assistance treaties (MLATs), absence of MLATs with all foreign jurisdictions and death, flight or immunity of the account holder," says Brar. Limited cooperation by foreign authorities, limited experience of our enforcement agencies in cases of cross-border stolen asset recovery cases aggravate the problems, he adds. Clearly, international remittance and recovery has many layers and legal complexities and tracking these assets will be a daunting task. 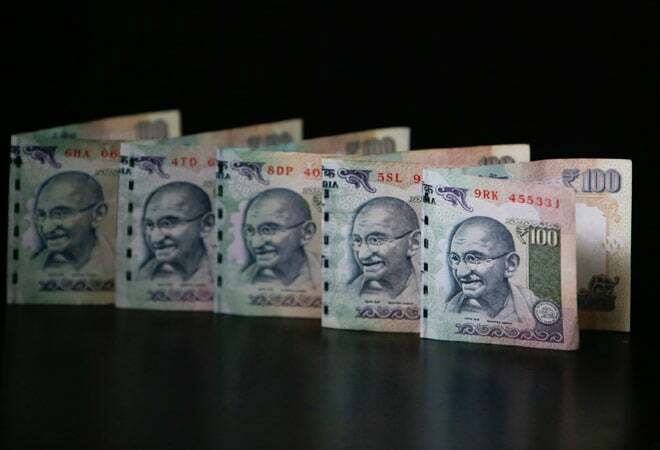 "Since this money is sent out of the country through multiple destinations and layering, it will be challenging to establish the real beneficiaries of these accounts," says Arun Kumar, author of The Black Economy in India and economics professor at Jawaharlal Nehru University. Brar explains that the key challenges are to first secure the prosecution (or even conviction) of account holders in Indian courts, proving that offshored assets had criminal origin, segregate inter-mingled funds, overcome 'puppet' front companies or nominees. "Only when the illicit nature of off-shored funds is prima facie established as relatable to India, can the freezing of foreign bank accounts be initiated," he says. "India will have to provide sufficient evidence to authorities to freeze accounts and foreign authorities will have to be convinced that funds in their countries are proceeds of crime under their local laws also." Then, individuals and companies are allowed to maintain bank accounts overseas and observers feel that there is a likelihood that substantial part of the money may be accounted and legitimate. "It is estimated that 50 per cent of foreign account holders are NRIs and all the account holders may not have black money stashed abroad - some of these individuals' accounts may be legitimate," says Rakesh Nangia, Managing Partner of chartered accountancy firm Nangia & Co. "Disclosing such names would violate the privacy of legitimate account holders." In April 2014, the UPA government disclosed to the apex court the names of 26 people who had bank accounts in Liechtenstein, as revealed by German authorities, of which eight were found legitimate. There are low chances of recovery of these offshore funds, given the procedural challenges. However sharing these names will send the message of zero tolerance for such acts. Rajiv Kumar, economist and former Secretary General of industry body Ficci says any action taken in the matter will act as a deterrent. "The stricter the action, the better." However, Kumar cautions that if the list does not include the big names then there is a problem. The authenticity of the data is also already under the scanner. The black money issue is being used to garner mileage by most political parties but little real action has been taken so far, according to observers. Political parties use black money as a gimmick by making it into a big campaign issue. "There is no clear cut strategy on how to deal with sources of generation of black money. Sharing some names may just act as a deterrent for while," says Ashutosh Mishra, Executive Director, Transparency International, India, an NGO that works in the area of good governance, capacity building and advocacy. Professor Kumar estimates India's black economy to be Rs 65 lakh crore (50 per cent of the GDP) and out of the total black economy only 10 per cent goes abroad. "This is just the tip of the iceberg. Real black money remains in India and nothing is being done to deal with it." Mishra questions why only three names were disclosed by the government. "Is the intent only to name and shame some people? Would this yield any result?" Activist and Aam Aadmi Party leader Prashant Bhushan says that disclosure of these names is as important as prosecuting the offenders. "If the government is serious about the issue, it should act on sources that generate black money and pass a law mandating disclosure of all foreign accounts. Until such measures are not taken, government after government will just be taking the country for a ride."